New car sales in South Africa are up. In the market for a set of wheels? Simplify your search for the ideal vehicle with this easy guide. According to Wheels24, the new vehicle industry saw a rise in sales so far this year despite fewer selling days in March. Out of the total reported industry sales of 49 233 vehicles, an estimated 44 417 units or 90.2% represented dealer sales, an estimated 5.3% represented sales to the vehicle rental Industry, 2.7% to industry corporate fleets and 1.8% to government. South Africans in Gauteng and KwaZulu-Natal are also responsible for more car sales in the country than any other province. Wheels24 also says that South Africans are still buying luxury cars despite the economic downturn. Luxury SUVs are particularly popular with Range Rovers and Porsche being the top pics for many South African buyers. Wheels24’s Janine Van der Post says: “Despite SA’s economic status, and another steep hike in fuel set to hit us in May, people are still buying cars. In fact, local car sales for the month of March have been the highest not only for 2018, but also in a very long time. “Just at the top of my head, numbers which stick are Porsche sales of 141 cars last month, 11 new Ferraris while Hyundai sold 1034 Grand i10s and Kia sold 789 Picanto models and Renault sold 856 Kwids. Suzuki had another record month of 1011 sales and that’s not even mentioning light commercial vehicles like Toyota’s ridiculous number of 3825 Hilux bakkies, Ford’s 2753 Rangers and Isuzu’s 1273 KBs. These are just a few examples from Naama’s sales report last month. “With second-hand parts becoming more and more difficult to source on older cars, looking towards a new entry-level vehicle could be a more viable decision. When buying a used car, it’s imperative that you do your homework. Take someone along who knows about cars when you’re out shopping for options. Ask as many questions as possible to get a clear history of the car and ask for service books and any workshop quotes. Sneaky problems can creep up on you when you’re too eager to purchase and will unknowingly, and most regrettably, have to fork out for old problems. If you’re in the market for a set of wheels, you’re probably feeling overwhelmed by the amount of information and options out there. Do you go for a hot new babe or a formerly loved darling? To put your mind at ease, here are four things for you to consider so that you can find the perfect match to suit your lifestyle and your wallet. Pricing is a major factor to consider since your car will most likely be one of the biggest financial commitments that you’ll ever make. If it puts too much strain on your bank account, you could end up regretting it a few years down the line. That being said, it’s no understatement that a new car may cost you an arm and a leg in comparison to a used car. Why? Allow me to introduce you to depreciation - the devaluing of a car over time. According to Investopedia, the largest chunk of a new car’s value is lost within the first year, with depreciation beginning the minute the car is driven off the showroom floor. Autotrader pointed out that in some cases, a new car can lose 50% of its value in the first three years! If you’re the owner of a brand new vehicle, be prepared to bear the brunt of this. That’s not all. Calvin Fisher, the former Deputy Editor of Top Gear magazine, remarks that new cars come with higher insurance premiums and additional taxes, like carbon tax. He proceeds to explain that with a used car, you pay nothing more than the selling price and spare yourself the burden of tax. Despite this, Car and Driver highlights that financing from companies and banks for new cars is lower than that for used cars. This is thanks to the inherently higher worth of new cars. In the end, the total fee of a new car will more often than not be higher than that of a used car. However, you may find that you can get more value for money on a new than used car. A cheaper car does not always equate to a better deal. It’s pretty obvious that no matter what you’re paying, you want to be able to go from point A to point B without a hitch. That’s why you’re buying a car, right? A new car is more likely to get you to your destination reliably than a used car. As told by Hands on Banking, you’ll receive a new car straight out of the box in its ideal state - no wear and tear, bodily harm or mechanical defects. Should you choose a used car, you run the risk of driving a vehicle that may have been damaged before. Because of this, Fisher recommends that you take the car for a roadworthy test with the AA, and get a full service history. He also indicates that the Consumer Protection Act will count in your favour, as it compels the seller of a used car to reveal any deficiencies to you. However, you have no choice but to take their word for it that the car does not have any severe issues. If you have any doubts of whether the seller is dependable, it would be safer to find another dealership or opt for a new car. You don’t want any nasty surprises. Caring for your car could be a breeze - or a nightmare. Once again, a new car wins in this respect. Fisher comments that a new car will have a warranty included in the selling price, and a motor plan will take care of any impairment except wear and tear items. Car and Driver notes that some car manufacturers will even offer gratis maintenance, for a specific time period or mileage. Hands on Banking states that a used car on the other hand, may have no warranty at all, depending on the dealer. Fisher goes on to say that if the used car is under five years old, you can still enjoy the remainder of the car’s original warranty and motor plan, which will cover maintenance costs. If however, the car has no warranty or motor plan, paying for its upkeep could burn a hole in your pocket. READ MORE: Do women still need help buying cars? It’s inevitable, remarks Autotrader, that certain parts will be somewhat worn out after the car has been driven for about 48 000km upwards. Fisher adds that there are also no promises, that the car will not experience any trouble at a later phase, once it has been driven further. Given this, keep in mind that you need to be disciplined enough to budget for extra maintenance expenses. Autotrader continues by saying that another downside of maintenance is the time taken to get the job done. A new car will spend less time in a mechanic’s workshop than a used car. If the repairs are substantial, your car may be in service for a week or more. In this case, you will need to hire a car or make alternative transport arrangements. Sigh. Having a few extra conveniences that tickle your fancy will add to your driving pleasure. These involve parking assistance, multimedia interfaces and side-curtain airbags to name but a few. Hands on Banking mentions that as a buyer of a new car, you have the liberty to pick and choose nearly any features as you please. With the services that are available nowadays, it’s almost like creating your own dream car, just the way you like it. A further plus, according to Fisher, is that the features you choose are likely to be the freshest ones on the market. Each new or updated model will boast a variety of amenities that make them unrivaled by previous models. Car and Driver expresses that if you are buying a used car, you will not be able to tailor the car to your taste before buying it. If you feel very strongly about having certain features in your car that are not common amongst used cars, your search for the right vehicle will take more time. Nevertheless, you need to ask yourself if those added trimmings really are giving you more bang for your buck. If not, then perhaps you’d be better off without them. “When you’re in the market to buy a new vehicle – be it from the dealer floor or used – always do your homework thoroughly on what would suite your budget. Regardless of your choice, new or used, you have to remember extra costs such as your fuel budget, insurance premiums, wear and tear, service costs and so forth. A major down side of buying a used vehicle is that you might not always be aware of any potential problems the previous owner might not have mentioned, and when you don’t have some extra cash saved up, the costs can be painful. 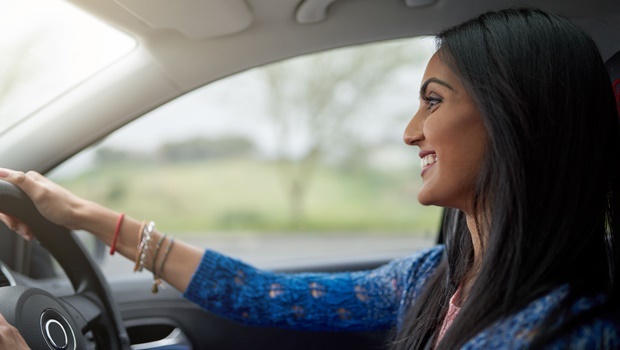 The team over at Wheels24 also give tips on how to test drive a vehicle before you buy it, whether a new or second hand car and stresses the importance of this. Here are 6 more tips about buying a car from Wheels24 that include the advice "Colour and style must take second place to buying a vehicle that will start first time, every time. "